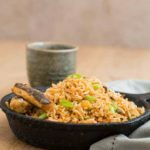 Sausage Okra Fried Rice is a super easy Sierra Leonean recipe / West African recipe. Suitable for gluten-free diets. I tend to miss Sierra Leone a lot at this time of the year. As I wrap up warm in front of the wood burner, drinking endless cups of warming chai tea, I daydream about blue skies, sunny days, sandy white beaches, friends, family and good, good food. There is not much that I can do about the landscape, but I certainly do a lot about the food. I start cooking a lot of Sierra Leonean recipes and other African recipes as well. Currently top of my list is this super easy sausage okra fried rice. 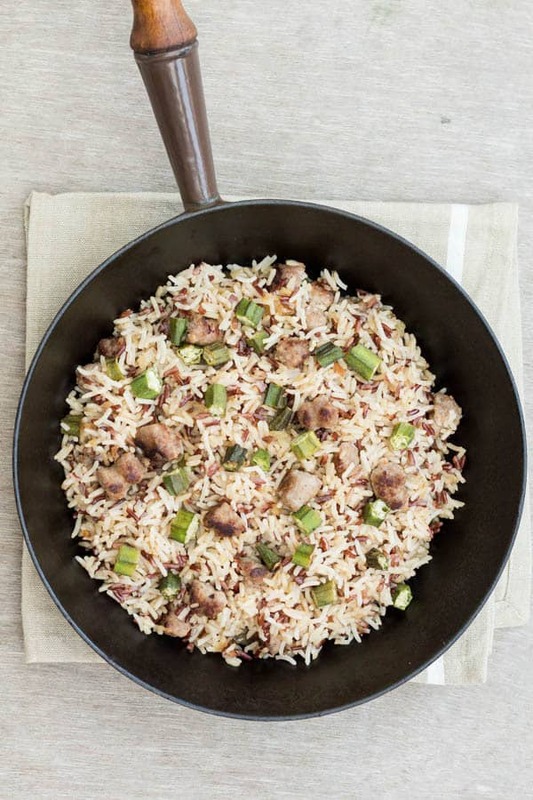 It has two of my favorite things, okra and rice, and can be ready in just 25 mins. Perfect weeknight supper right? 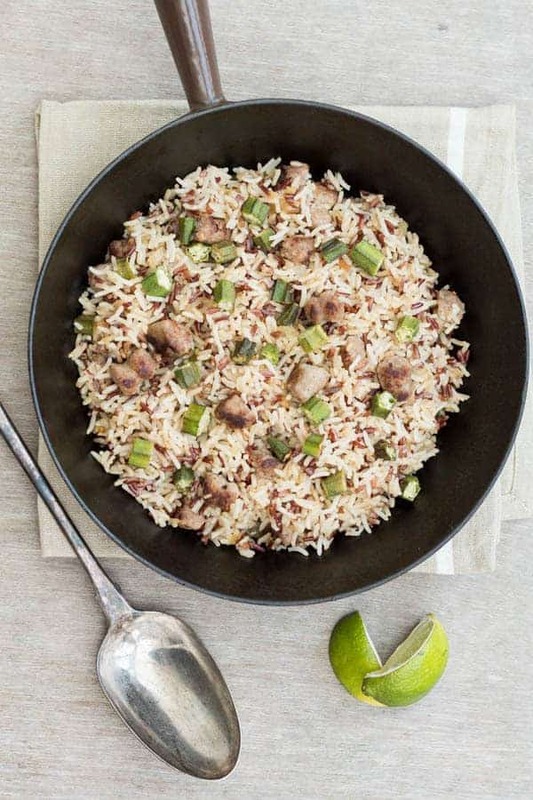 This is another one of the quick rice recipes my sisters and I used to whip up for our ‘in the shade of the verandah’ or ‘under the mango tree’ marathon gossip sessions. Along with some fried plantains, ginger beer or ginger and lemon grass iced tea and a few friends thrown in. I soooooo need to travel to Sierra Leone right now. I hope you make this super easy sausage okra rice recipe and enjoy every mouthful if you do. Check out my other okra recipes too. 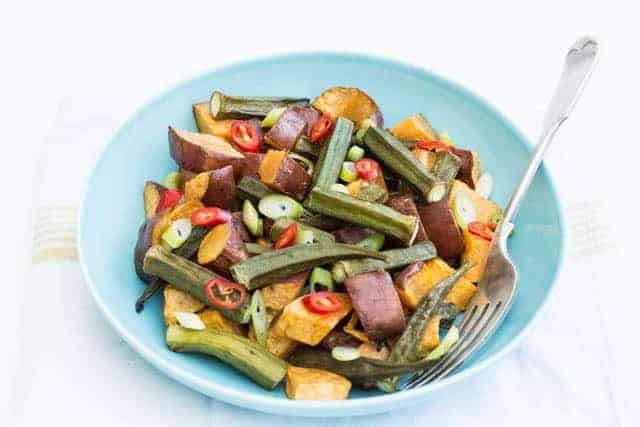 Roast Sweet Potato and Okra Salad. 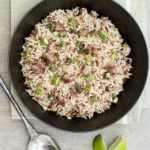 Don't forget to tag #recipesfromapantry on Instagram or Twitter if you try Okra Sausage Fried Rice - Sierra Leone Flavours! It is really, really awesome for me when you make one of my recipes and I'd love to see it. You can also share it on my Facebook page. Please pin this recipe to Pinterest too! Thank you for reading Recipes from a Pantry. African recipe - a super easy sausage okra fried rice. Cook the rice according to the packet instructions (approx 15 mins) and set aside to cool. Heat the oil in the frying pan and fry the sausages for about 4 mins or until half done. Add in okra and spring onions and fry for about 4 mins stirring a few times whist frying. 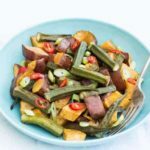 When the okra is cooked, add in the cooled rice and tamari soy sauce to taste and stir fry till the rice is warmed through. Serve with some chilli sauce. It’s that time of the year where all you need is comfort food and it always takes you back to your childhood…. Am craving some okra too! And have some lined up -Southern style. Love that this is done in less than no time. I love okra and don’t eat enough of it. This recipe has everything you need for a delicious dinner. I’ll have to make this dish for my husband. He loves okra and I don’t cook it often enough. Great simple recipe! 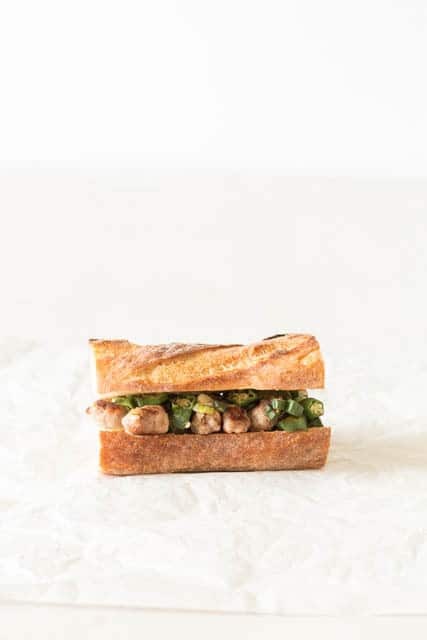 Always looking for new ways to serve okra, and this looks delicious! 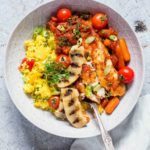 We love rice around here and this looks like a great change up from our usual! Ohh I love this! I don’t eat okra nearly enough! I love it in gumbo so I feel like this would be up my alley! 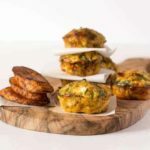 That looks really good, and I love an easy meal! Such wonderful flavors! 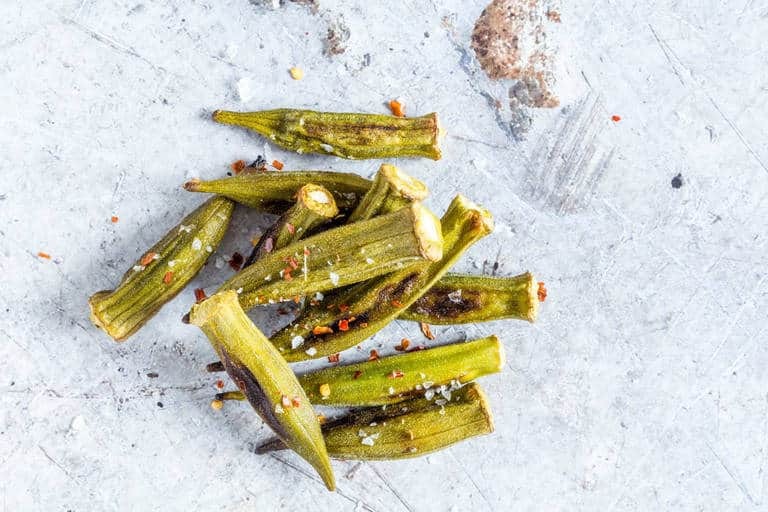 I love okra and this dish looks awesome! I love fried rice but I have never made it with okra. I’ll have to try it. This is such a fantastic, creative twist on fried rice! I love how you incorporated flavors you love (and miss) for a completely reimagined, wonderful version of a classic! Really terrific! This sounds really delicious! I’ve never actually cooked with okra before, or even tried it, but a few people have told me that I should! Also, it seems really simple to make. Sierra Leone seems like a beautiful country and an amazing culture of people. I’d love to visit there someday! Will you be going back for a visit anytime soon? Happy to have found your blog 🙂 Lovely photos. Off to check out your chai recipe…!